Ivantis, Inc. is a company dedicated to the development of new and innovative solutions for glaucoma. Current therapies for primary open angle glaucoma (POAG) include eye drops, laser therapy, and surgery. But each of these has its limitations. Glaucoma remains the leading cause of blindness worldwide, in need of better treatment alternatives. It is our goal to develop new and effective solutions for ophthalmology specialists and the 70 million people worldwide who are affected by this debilitating and sight-stealing disease. Ivantis Inc. utilizes the services of The Websuasion Group on an ongoing basis for our cloud-based data portal services, which allows practices to provide vital surgical and clinical data for their glaucoma patients. Ryan and his team designed the system architecture, developed the portals, generated data visualization, maintain our servers and provide analytical services. They are responsive and knowledgeable with regard to our complex data and reporting needs. They have been a big asset to Ivantis and allow us to leverage our data in ways we never expected. Ivantis approached us in 2015 to develop application architecture for, and subsequently build, a web administration application, and corresponding web medical practice portal. We started the process with a highly detailed and iterative application architecture phase. Over the course of several meetings, we compiled a detailed list of specifications from which we generated process workflows and screen mockups for each part of the system. The specifications included the central API structure, database schema, object modeling, and internal business logic. From the final application architecture document, we were able to provide a precise timeline and cost for the system. 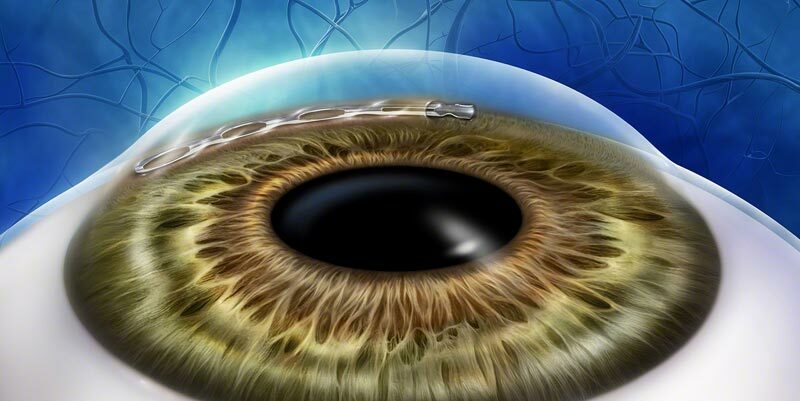 Ivantis are developers of a ground-breaking device, Hydrus, designed to treat severe glaucoma. Ivantis needed a system that could not only be shared across many medical practice locations worldwide, but could also manage vast amounts of complex data about Hydrus surgeries. To accomplish this task, we designed a robust portal that collects anonymous statistical data from the practices performing the surgical procedures. Extensive data reporting and graphing options are available to both the doctors and Ivantis. The resulting Spectrum portal has become a centerpiece of their organization's efforts in developing peer reviewed medical studies and gaining detailed understanding for which types of patients Hydrus is best suited. On a continual basis, we provide server maintenance, data-integrity assistance, and hosting of the portals.